A great piece of mentalism! Show your volunteer a giant cube containing a different numbers symbol on each side. Explain that they are to place it in an opaque box, with that symbol on top, and then place the lid on the box. You put a blindfold on yourself so you cannot see anything. Your volunteer does as requested. 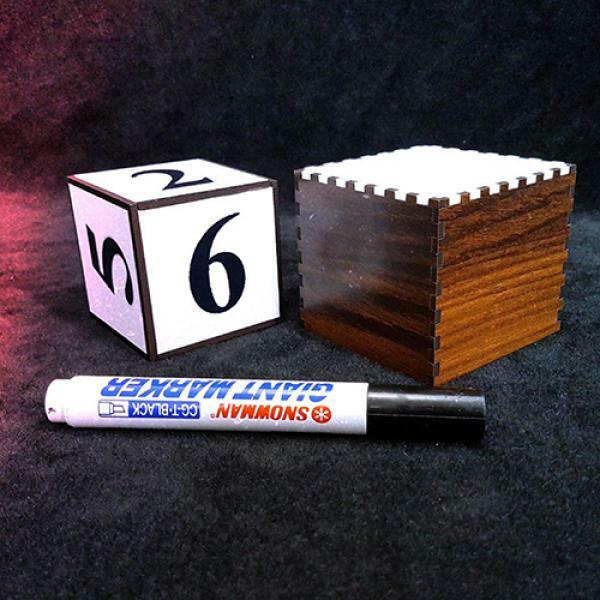 Magically and astonishingly, you are able to discern the exact number by drawing it on the box, all while being blindfolded! Looks amazing! Audiences will be mystified by your mental powers!